Whenever I make Mexican food, you can pretty much guarantee these accompany the meal. Later in the week, I puree it (no need to refry) in the Ninja to make bean and cheese burritos which I wrap individually, place in a gallon size bag and add to the freezer so the family can take them out as necessary. Or, if Nachos are on the menu later on, I’ll puree some and spread on tortilla chips and top with desired ingredients. Using a crockpot, add in beans, bacon, and desired Tex-Mex seasoning and fill with water. I confess: I don’t measure out the seasoning because this is another instance where I do the *sniff* test. 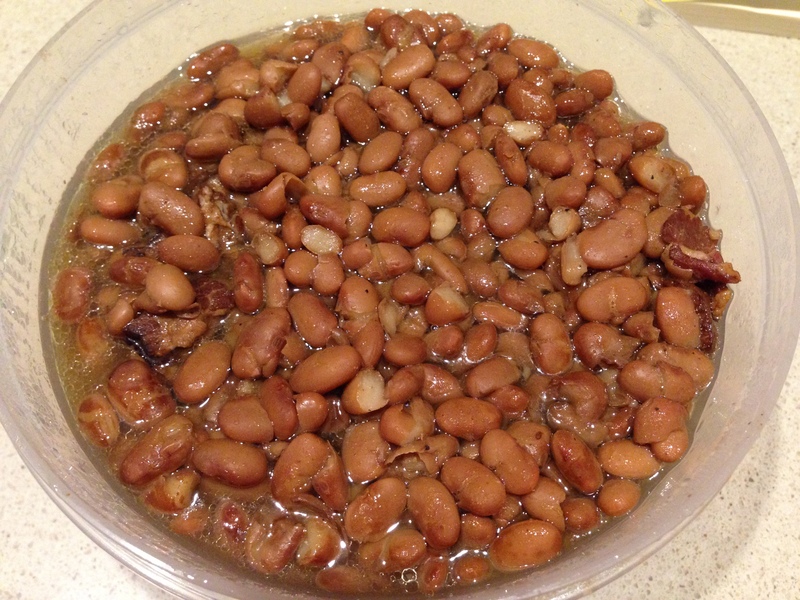 Cover with lid and cook on high all day, 6-8 hours, or until beans are tender, and no longer firm. This entry was posted in Mexican, Sides and tagged Mexican. Bookmark the permalink.